Cancun has gotten a bad reputation as party central, in part, to the spring break videos posted of college kids during March but Cancun and Playa Mujeres aren’t only about drinking and partying. 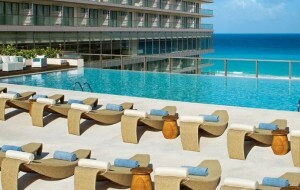 Cancun is a great destination for romance, honeymoons and destination weddings. In addition to great beaches and lots of activities, shopping and restaurants, there are some great all inclusive resorts that might be the perfect setting for a honeymoon in Cancun or Playa Mujeres. Where is Cancun and where is Playa Mujeres? If you fly into the Cancun Airport, you head north to get to Cancun and drive south to get to the Riviera Maya. 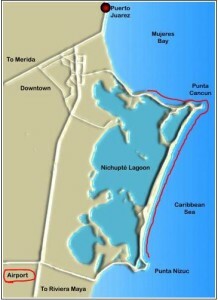 As you can see, Cancun is shaped like the #7 with hotels along the entire coastline. 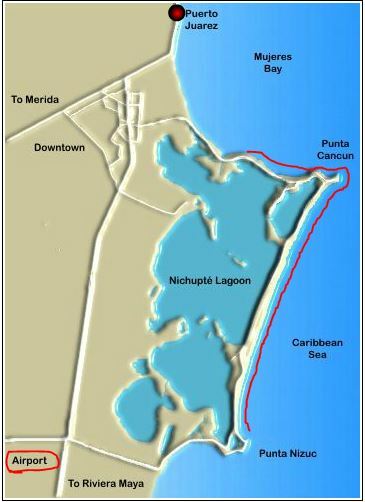 If you head up northwest along the coast, you will get to Playa Mujeres (in the vicinity of Puerto Juarez). It’s opposite the island of Isla Mujeres (accessible from the mainland by ferry). There are only a couple of resorts in Playa Mujeres but at less than a 30 minute drive from the airport, it’s completely different than the hustle and bustle of the Cancun Hotel Zone. It probably takes as long to get to the hotel zone of Cancun with the shopping, clubs and restaurants as it does to get to the airport but it’s worth a trip or 2 to get a different experience. Why is Cancun a great honeymoon destination? There are a good number of reasons why Cancun and Playa Mujeres make such great honeymoon destinations. 1. Nonstop flights from so many U.S. cities— basically, it’s pretty easy to get to Cancun even from the West Coast. 2. Value— you get a lot for your money in Cancun. 3. Hotels—everything from adult only all inclusive resorts to family friendly resorts. There are over 32,000 hotel rooms available in Cancun and Playa Mujeres so you are bound to find a resort that fits your dreams and budget. 4. The nightlife— while Cancun has no casinos, it’s nightlife has been a main attraction for many honeymooners. For those who want clubs playing everything from salsa and disco to R&B, you’ll be able to find it in Cancun. With very few beach destinations that can rival the the nightlife scene in Cancun, for those honeymooners who want to leave their resort grounds for some fun entertainment, Cancun is sure to please. You’ll recognize some of the clubs in Cancun— Coco Bongo and Senor Frogs just to name a few. 5. The food— while Cancun has lots of all inclusive resorts, many visitors may opt to venture off the resort grounds and try some of the restaurants located in downtown or in the hotel zone. 6. Shopping— the motto is shop ’til you drop! With everything from Mercado 28 (a handicrafts market) to modern malls filled with upscale designer shops, you’ll be able to bring home some great souvenirs. 7. Mayan Culture—while not necessarily in Cancun, you can visit Mayan archaeological sites on a one day excursion. You can explore Tulum, Chichen Itza or Coba on pre-arranged excursions. We don’t recommend that you drive to these yourself. While you can, My Vacation Lady recommends a tour that will pick you up and drop you off at your hotel. 8. Water sports—With turquoise waters and 17 miles of beach, Cancun is a water sports enthusiast’s dream come true. With snorkeling, scuba diving, deep sea fishing, sailing, kayaking, sunset cruises, dinner cruises or party cruises, the waters off Cancun can keep you well entertained. 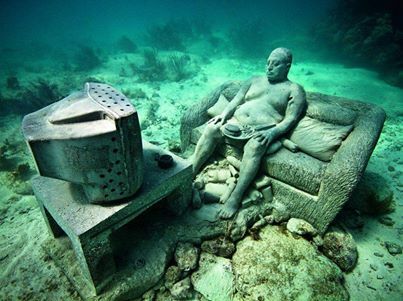 Something very unique is Cancun’s underwater snorkel park. You can try hobie cats, jet skis, or water skiing. Between Wet ‘n Wild and swimming with Dolphins or swimming with sharks, there is plenty to keep you busy. 9. Adventures—The area in and around Cancun has become a destination for adventure and eco-tourism. You can go horseback riding, take an ATV tour, go zip lining, snorkel in underground rivers or cenotes, parasail, play golf and so much more. 10. The BEACH— we really can’t say much more other than, white sand, turquoise waters, and 17 miles of gorgeous beach. What about romance in Cancun and Playa Mujeres? Finding romance in Cancun and Playa Mujeres isn’t difficult. First, there are adult only, all inclusive resorts that will rival similar resorts in any other destination. Excellence Playa Mujeres, Secrets the Vine, Le Blanc, the Royal Cancun and the Sun Palace are all examples of 5 star luxury adult only all inclusive resorts. How about a couples massage? What about a romantic beachfront dinner? All of these can be included in some of the honeymoon packages that might be available at your Cancun or Playa Mujeres resort. 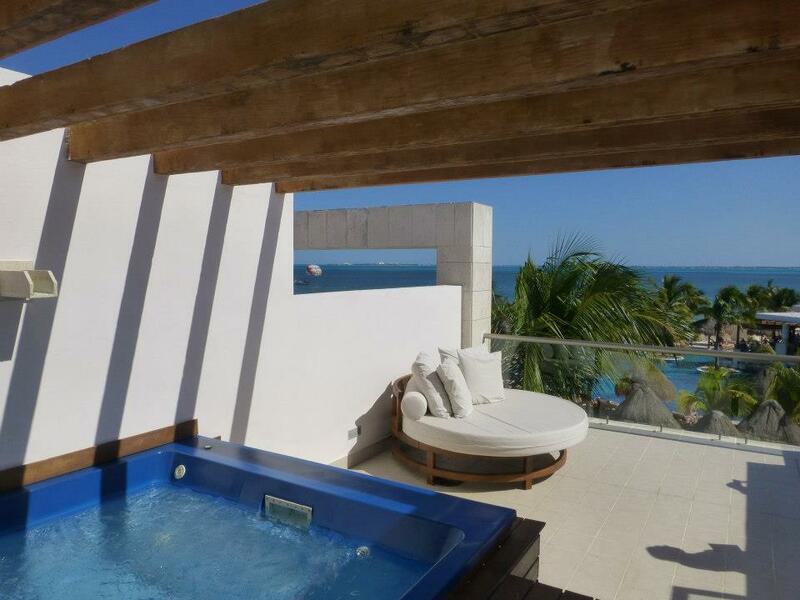 ocean views, and a jacuzzi for 2, inspire romance. When is the best time to go to Cancun or Playa Mujeres? Cancun’s weather is similar to most of the Caribbean and is warm year round. Cancun has 2 seasons- the dry season which is November to April where the temperature will be cooler with less chance of rain and a lower humidity and then the wet season. Like most of the Caribbean, the chances of rain are higher during May-October, with September and October being the wettest months. June and July are the hottest months. December and January might be cooler at night (so take a sweater, just in case). Cancun is in the hurricane zone but has only been hit by 3 big hurricanes in the last 30 years. The most expensive time to visit Cancun will be between Christmas and Easter, which typically coincides with their peak season and driest months. The best value will be during September – November (not including holidays). Is Cancun or Playa Mujeres the right honeymoon destination for you? If you are looking for lush, tropical landscaping with resorts that are tucked into the jungle, you might want to head south to the Riviera Maya. If you are ok with high rise resorts, fronting a gorgeous beach with plenty of daytime and evening entertainment, Cancun might be perfect. If you are looking for quiet, luxury with miles of beach to walk along, Playa Mujeres might be the best option. My Vacation Lady is one of the few honeymoon specialists that will offer you a very in-depth and comprehensive honeymoon consultation to see if Cancun or Playa Mujeres is the right destination for you. We’ll be able to identify what your honeymoon dreams are and what you want to see and do and experience on your honeymoon. We’ll help narrow down options and help you decide the best destination for your honeymoon.